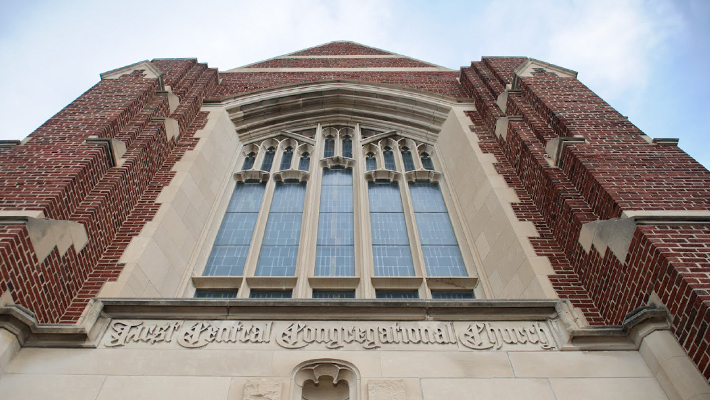 First Central Congregational’s beautiful building, completed in 1921, offers rental space to community organizations and area professionals. Our sanctuary, which seats 600, has been utilized for vocal and instrumental performances, recitals, and concerts. We also have a smaller chapel which may be reserved for meetings, recitals, exercise classes, or other events. There are a variety of other spaces available which may be used for classes, meetings, or conferences. We also have a gym on the basement level and an art classroom on the lower level, which are available for rental. Most spaces are handicapped accessible. For more information regarding building rental space and rental fees, please contact the church today.